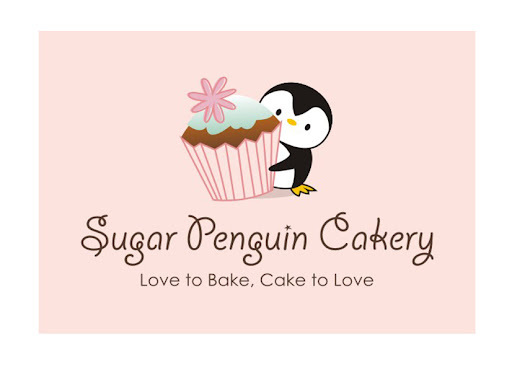 Sugar Penguin Cakery: OUR NEW LOGO! After many "how about this" and "how about that"...we are proud to debut our BRAND NEW LOGO!!!! It is everything that we wanted. Soft, playful, CUTE, and appeals to all ages. This logo will be the new face of our company and hopefully you'll see it a lot more! I am sure you guys have all seen the newest cake: bubble bath bear! This was not our own design but definitely good to challenge ourselves in new techniques - which as you know are endless! * New cupcake designs well-priced at $3 - $5 each that are great for any occasion! Aunt Jo and Baby Thea!